Okay, so I lied in my last post. I couldn’t resist posting before September because I needed to share this wonderful recipe with everyone! 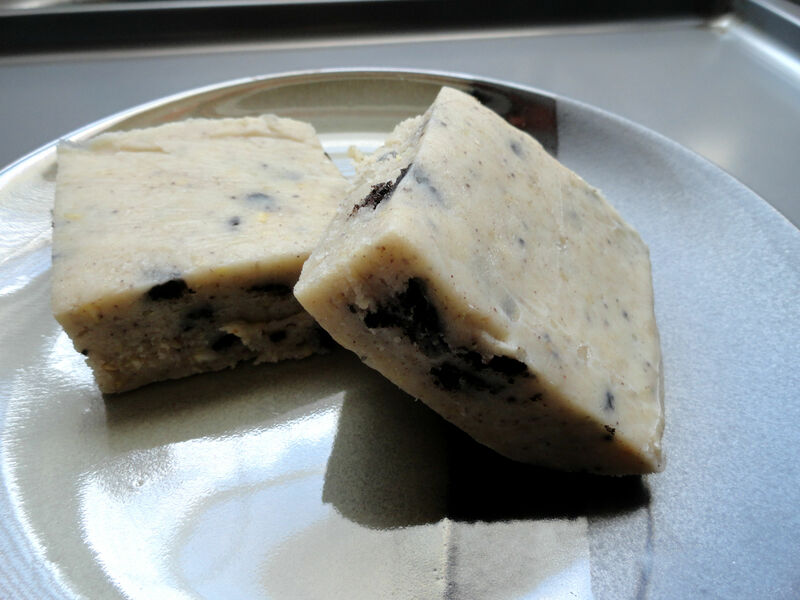 When I saw Stewartship’s recipe for cashew fudge I was inspired to make a version based on my favorite ice cream flavor, cookies and cream. This stuff is creamy, rich, and beyond delicious. In a food processor blend the cashews, water, salt, and vanilla until smooth. This will take a long time (my tiny food processor actually started smoking because it took several minute), but it will become smooth and creamy eventually. Heat the coconut oil in large saucepan until melted, then whisk in the cashew mixture. Once thoroughly mixed, add in the powdered sugar one cup at a time. After the mixture becomes smooth, fold in the cookie bits and pour into a 8×8 pan that has either been sprayed with oil or lined with parchment paper. Set the fudge in the refrigerator for several hours until set, cut into squares, then enjoy!